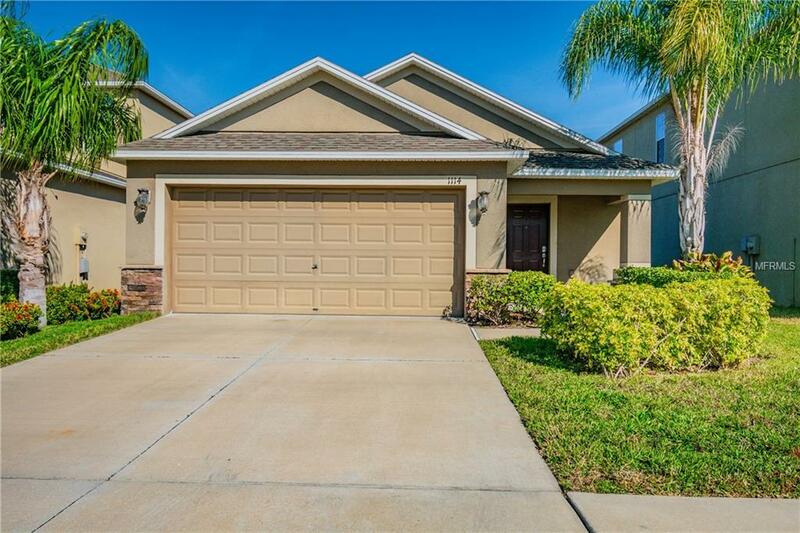 Beautiful MOVE IN READY 3 bedrooms, 2 baths, 2 car garage home in Bahia Lakes! Open floor plan with living & dining room combo, and breakfast bar. The kitchen features granite countertops, beautiful backsplash, and stainless steel appliances. Enjoy a comfortable Master Bedroom that offers a private bathroom & large walk-in closet. Home equipped with many beautiful upgrades from builder, it is a definite MUST SEE!Bahia Lakes offers a beautiful community pool, playground and walking trails around the community lakes. Great location close to Tampa's Bay and water or boat access! Only 15 minutes from I-75, 25 minutes from Brandon & 35 minutes from Tampa or Sarasota's Downtowns! !